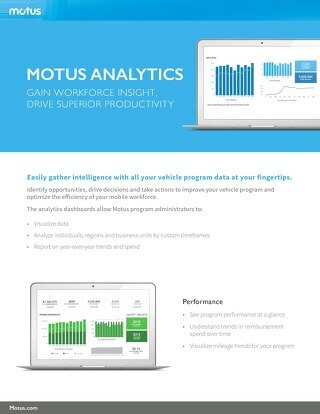 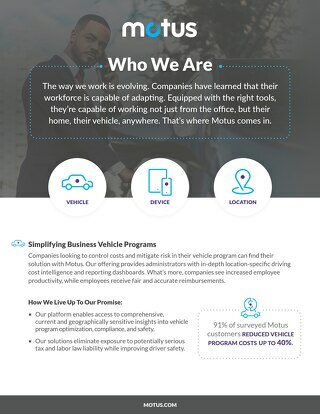 Motus provides solutions for all vehicle programs, from personal reimbursement to company cars. 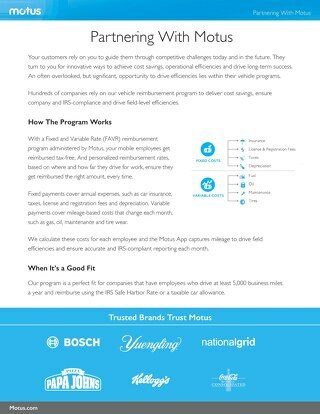 Our platform helps companies achieve compliance, increase productivity, and more. 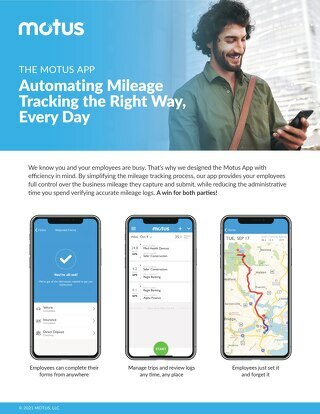 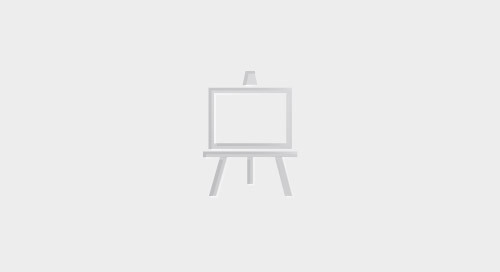 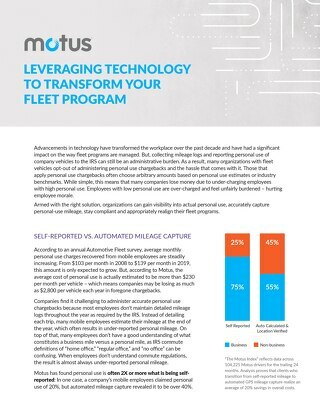 Our integration with Salesforce allows us to share insight into field activity with the actionable data you need to run your mobile workforce most effectively. 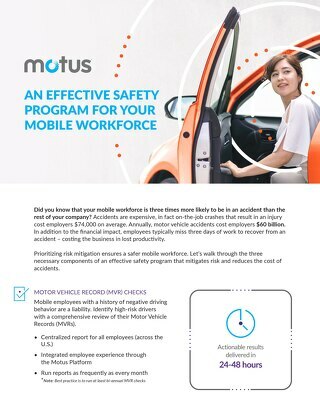 Want to know how? 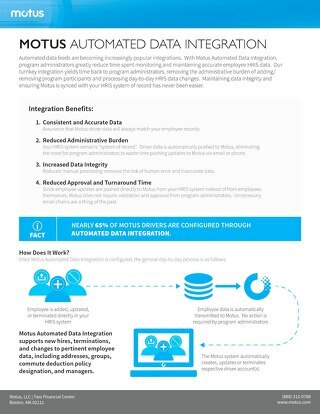 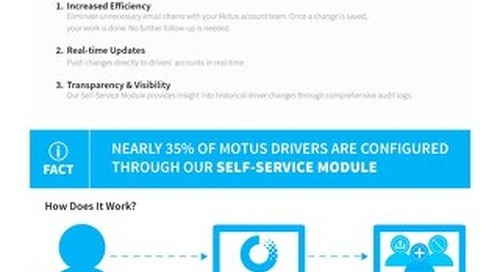 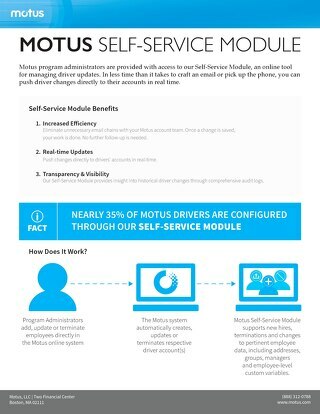 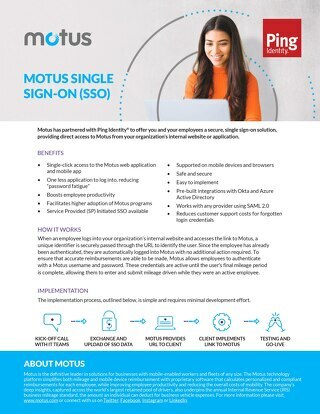 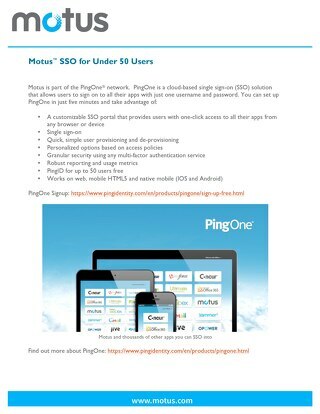 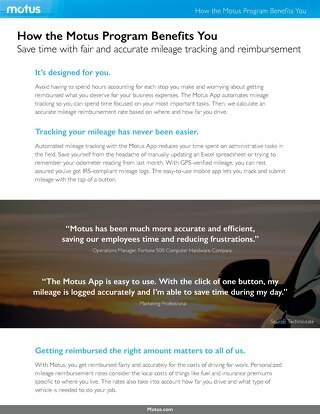 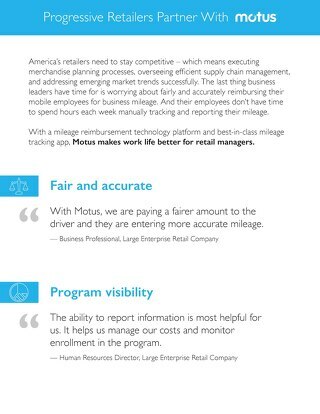 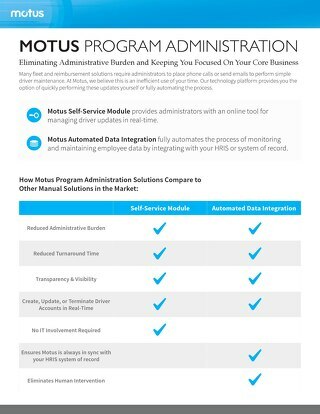 Check out this one pager on the Motus integration for Salesforce.